This evening at The Matthews, awards were presented to the following artists. Complete list of names and art titles below, including images of all first place pieces. Kathy Young, who has recently gone through cancer treatment, will be the instructor. While in the hospital going through treatment, she and others were able to participate in art classes to keep them occupied and their minds off their procedures. 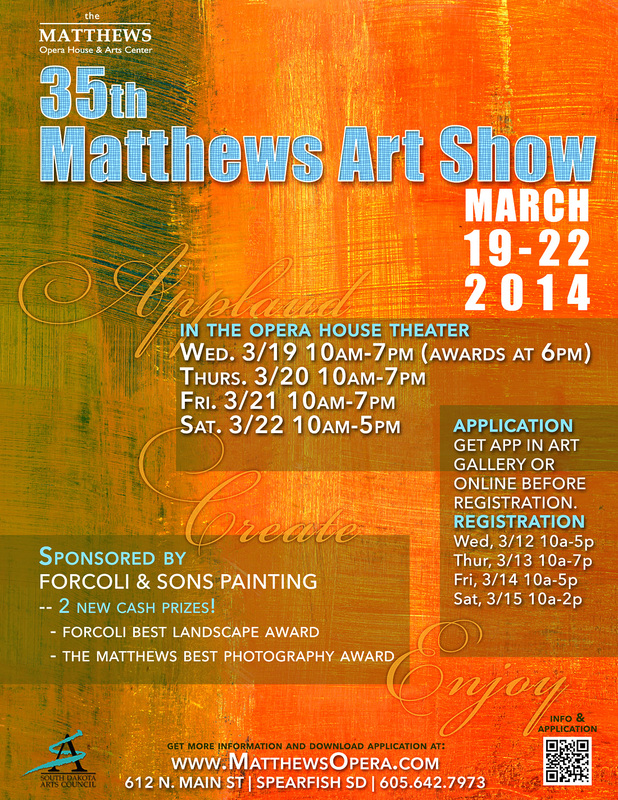 The 35th Matthews Art Show (formerly called “The Winter Art Show”) will be taking artist work with their registrations March 12-15, 2014 upstairs in The Matthews Opera House lobby. Times vary on these dates. CLICK HERE for complete information about show registration, prizes, divisions, and registration fees. The download for the application is also at this link. A new exhibit called “Over Land & Sea: Spearfish Immigration Stories,” will be unveiled during an opening night reception in The Matthews Art Gallery on Friday, February 7, from 5:00 p.m. to 7:00 p.m. 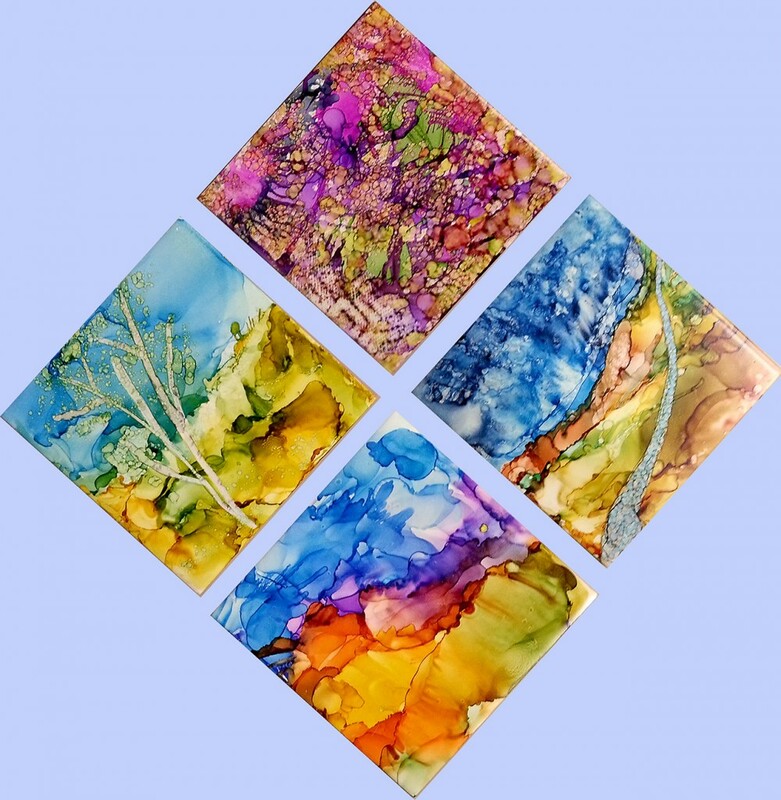 The reception will feature many of the Spearfish citizens who participated in this exhibit. Their framed photos and personal immigration experiences will be on the gallery walls. It is free and open to the public. The exhibition will continue through Saturday, February 22 during normal art gallery hours — Tuesday through Saturdays, 10:00 a.m. to 5:00 p.m.
Our Big Read Spearfish theme will be used again in April in a very colorful way. From April 7-26 the Matthews Art Gallery will host an exhibit of Indian saris; the traditional female clothing from India. Mannikins will display customary dress and also the art and skill displayed within the fabrics of India.